Discover success in global business today with the most strategic approach to international business topics and unique coverage not found in other texts. GLOBAL BUSINESS, 4th Edition, is the first global business book that answers the big question, “What determines the success and failure of firms around the globe?” Globally renowned scholar and author Mike Peng integrates both an institution-based view and resource-based view in every chapter, bringing an unparalleled continuity and strategic approach to the learning process. The book combines an inviting, conversational style with the latest research and examples that reflect the most recent global developments. 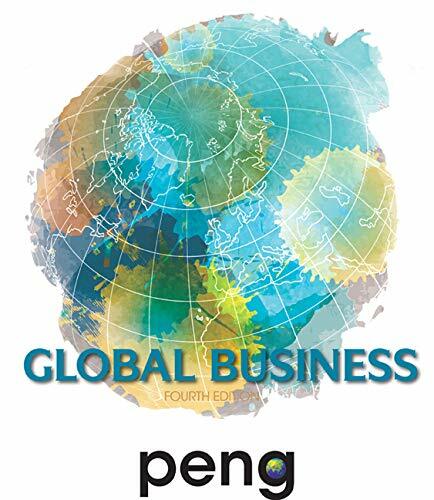 A wealth of business cases from Mike Peng and other respected international experts delve into how companies throughout the world have expanded globally. All-new video cases that cover each chapter’s opening case and closing case, world maps that connect geography and culture to business decisions, and unique global debate sections that draw you into cutting-edge international discussions help you learn to think independently and view business challenges from a truly global perspective. With GLOBAL BUSINESS, 4th Edition, you view business through the eyes of a true world citizen and gain the understanding you need to become an effective manager within today’s global business landscape.